Graziella, the owner of the Roma, welcomes everyone with open arms. 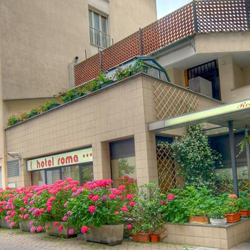 Her friendliness has made this hotel popular with our Alpine Revolutionaries! The Hotel also offers it's own restaurant, so if you're feeling like a night to give your legs a rest, then this is ideal. 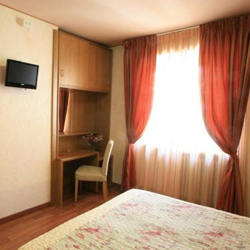 Below you will find prices from for the Hotel Roma for 3 days, 5 days and 7 days. If you require any different length of break then please state in the Enquiry form at the bottom of the page. A very warm and homely hotel, the owner made our welcome even warmer. She couldn't do enough for us. 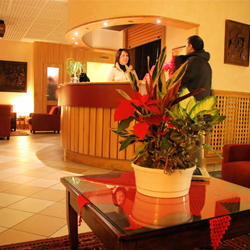 A fantastic hotel, it has a truly Italian feel. It was great knowing we were going back to somewhere where we were going to get looked after, after a long day in the saddle. 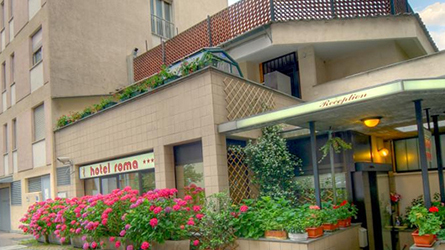 A group of us stayed at The Roma, we were all very pleased with it.